Only HIV patients may self-refer through the call center. Breast pumps are available for purchase. Monday, Tuesday, Thursday, and Friday, 9 a.m. to 4:30 p.m.
Wednesday, 7 a.m. to 4:30 p.m. Continuing Care records are processed at no cost to members. Copies of records for personal use. There is a clerical and per-page copying fee. Benefits and Health Plan coverage information, forms and brochures. Walk-in service is not available. 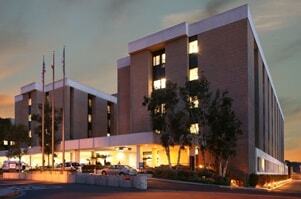 Please refer to Member Services at Otay Mesa, San Marcos, or San Diego Medical Center. Take I-8 to Mission Gorge Road exit, go north 1 mile. The medical center is 1/2 block east of Mission Gorge Road.